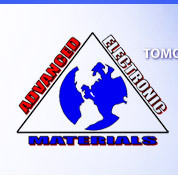 Welcome to Advanced Electronic Materials, Inc.
Our success comes from the unique value proposition we bring to electronics distribution - flexibility, responsiveness, integrity, stability, risk management and our entrepreneurial philosophy. Flexibility: Our dedicated Customer-Focused Teams use their expertise and experience to meet the individual needs of each customer. We recognize that, in this business, one size does not fit all. Responsiveness: In-depth customer collaboration and market profiling allow us to anticipate and address issues before they arise. Our focus is on creating tailored solutions to bring products to market on time, on budget and with exceptional quality. Integrity: We know our customers depend on us for the realization of their ideas. Our record of success, our culture of open and honest communication, and our organization-wide accountability ensure we deliver what we promise. Stability: We specialize in specific industries, and partner with customers carefully to ensure fit for long-term, mutual success. Our history of profitability, well-rounded leadership team, and skilled people ensure that our customers can rely on us whenever and wherever we're needed. 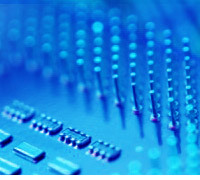 Risk Management: Electronics distribution is a complex and dynamic business. Extensive industry expertise, thorough planning and real-time, integrated business systems give our customers confidence that their components will be delivered on time and on budget. Entrepreneurship: With employee owners, we are quick to recognize opportunity and are empowered to make a difference. 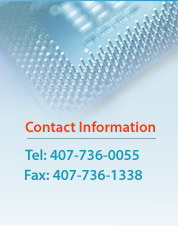 We know that our customer's success is our success. Our culture of continuous improvement drives us to innovate and excel. Copyright © 2006 Advanced Electronic Materials Inc. All Rights Reserved.